A recently leaked photograph of the Argentine rooming arrangements for the World Cup campaign provided a marvellous peek at the relationships within the squad. Hardened warriors Javier Mascherano and Pablo Zabaleta were matched up for room 16 and the Lionel Messi-Sergio Agüero pairing will ensure that room 18 remains off limits to sickness, injury and cursed luck. While the image amounted to an amusing illustration of a major sporting operation’s quotidian logistics — especially one centered on the interpersonal dynamics between a group of millionaires — the name of the sole occupant in room 20 was especially telling. Fernando Gago is no callow unknown, having experienced respectable, if unspectacular, spells in European football with Real Madrid, Roma and Valencia, but his career has not quite followed the path one would expect of a player sold to the world’s biggest club for €20million before his 21st birthday. Since returning home to Boca Juniors in 2013, Gago has blossomed into an accomplished and vital international footballer who, at 28, serves as the tactical brain of a side replete with naturally endowed gifts. The injury suffered in an April fixture against Colón chilled the heady expectations of those banking on the certainty of Argentina’s path to the latter stages at Brazil 2014 and, as he works to throw off his ailments, with the aid, perhaps, of his own space, Gago’s importance is underlined on a daily basis. That the spectre of his absence through recent injury should be considered an obstacle to La Albiceleste’s chances of success is a testament to the esteem in which national coach Alejandro Sabella holds Gago. Despite enjoying the rare privilege of calling on the mercurial talents of Messi, Agüero, Gonzalo Higuain and Ángel Di María, Sabella, whose team is arguably the competition’s strongest, will have lost sleep fretting over the fitness of a player he rates as indispensable to the system he intends to operate. It is a system designed to feed Messi — anything else borders on senseless — but even the world’s best requires some assistance from men once dismissed by Eric Cantona as ‘water carriers’. In Argentina’s case, those tasked with providing a base for Messi and Agüero to wreak havoc constitute more than mere faceless labourers. Mascherano, captain and leader, has spoken of his determination to continue in central midfield — the ‘number 5’ — for his country, a position he seldom occupies at Barcelona. While he takes his place at the base of the middle trio in Sabella’s 4-3-3, Mascherano’s remit is one of tenacious high-end hustler, more expensive thoroughbred gamer than elegant preemptive force. 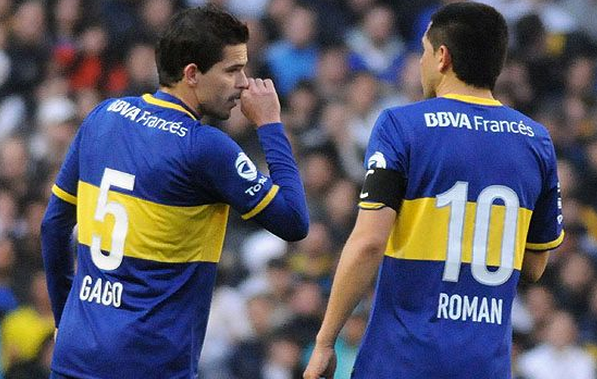 Gago, meanwhile, is the engine, a somewhat different beast who personifies a peculiar tenet of the Argentine psyche. There is a beautiful duality in the identities of South America’s two footballing superpowers. Brazil, birthplace of joga bonito and history’s finest purveyors of the game, derives national meaning from its favourite pastime, infusing it with the kind of swaying, samba-tinged, carefree joyfulness that attracts millions to its golden beaches every year. As a country, Argentina, by contrast, has long tacked closely to the country’s soberly refined European roots. Its football, however, is no bastion of stuffy conservatism, characterised instead by a furious, dark majesty where outrageous ability is harnessed in favour of the collective. The dichotomy is stark and, going by records at least, the Brazilians have the edge over their bitter continental rivals. Yet, it is, nevertheless, a fascinating truism that neighbouring nations continue to adhere to such profound distinctions. Naturally, there are exceptions — Pelé and Diego Maradona being two obvious symbols unbound by stereotype — but as Brazil has embraced and produced vivacious, crowd-pleasing populists, deeply connected to their inner mavericks, so, too, has the Argentine approach to creativity been one of ethereal, near bourgeois aestheticism. Even Messi, for all his exhilarating directness is as typical a product of his haughty Catalan finishing school as Xavi or Andrés Iniesta. ‘Bourgeois’ is, admittedly, a strange term to attach to a nation whose grandest names have regularly sprung from the kind of poverty so often cast as a breeding ground for the Seleção’s wondrous artistry. On the other hand, it is not an inappropriate description for the race of delicately balanced midfielders who have turned out in the sky blue and white of La Selección. Juan Sebastiaán Verón, Pablo Aimar, Juan Roman Riquelme and the recently jettisoned Éver Banega spring easily to mind as examples of these gliding schemers yet, in truth, the warrior caste has been just as impressive in addressing football’s finer points. Esteban Cambiasso, Javier Zanetti and Diego Simeone were all, by most rational measurements, world-class midfielders of considerable acclaim. 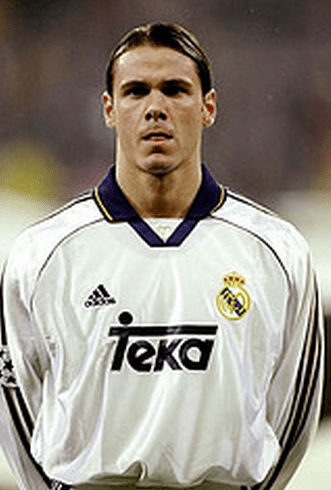 Fernando Redondo, seen here with Real Madrid, was, arguably, the finest Argentine midfielder of his generation. On deeper reflection, however, it is in the space between these two symbolic versions of the purring Argentine metronome that players like the great Fernando Redondo exist. One of the stellar performers of his generation, Redondo was robbed of sustained international stardom by injury and the kind of personal enmities that startling independence of mind is likely to engender. That was no true barometer of his influence, of course, and a decorated tenure with Real Madrid was proof of his standing. It is to his solidly brilliant, forward-looking attributes then that Sabella casts an eye when promoting Gago as his dynamo. Occupying the notional right flank in front of Pablo Zabaleta, Gago’s excellent technique, aggressive two-way skills and graceful movement compliment Mascherano’s bite and Di María’s devastating incisiveness. Disciplined and astute, he is the quiet talisman wedded to an outlook that places a single individual at its core. He is no Redondo, certainly, but the older man never had the privilege of supplying a compatriot of Messi’s unmitigated genius. Blessed with an outstanding range of passing, Gago’s task is to secure possession and distribute it accordingly. Lionel Messi is the world’s best footballer but he will need his compatriots to step up during the World Cup. Messi will attempt to claim his immortal legacy over the course of the next month, reaching for it now before age and the unpredictability of life might take its toll. In doing so, the Barcelona star must rely on the graft of others, reminded that his glittering domestic accomplishments were secured with the backing of an extraordinary supporting cast. If he has excelled then so have the rest. He does not play alone; a lever requires a fulcrum. Argentina World Cup 2014 squad. Very nice article. Gago-Messi link is indeed one of the most important areas of Sabella’s Argentina. However, I wouldn’t say he has blossomed since moving to Boca. If anything he has been in relatively poor club form (due to being asked to much more than he is for the national team), whereas for the albiceleste he has been a consistently important player during the entire qualification process. As you say, and as the article states, Gago has become an especially important player for his country during the period in which he returned to Boca.